The 2017 New Zealand Food Award winners have been announced with a sheep milk product taking out the most coveted award. The complete award winners in different categories are listed below in this article. Spring Sheep Milk Co won the Massey University Supreme Award for its Vanilla Flavoured Probiotic Sheep Milk Powder. Spring Sheep Milk Co also won the NZTE Export Innovation Award. Chief Operating Officer of Spring Sheep Milk Co, Nick Hammond, said winning the Supreme Award was an important win for a small company. 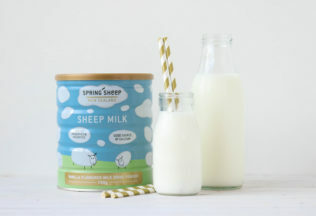 “At Spring Sheep Milk Co, we’re trying to break new ground in product innovation and enter new markets, so I feel that this award is a real recognition of our whole team, and their passion for their work,” Hammond said. The New Zealand Food Awards have been run by Massey University for 30 years. Vice-Chancellor of Massey University, Professor Jan Thomas, said the level of innovation in New Zealand’s food industry is something to be proud of. “As a small country, the level of innovation that we provide in terms of the food and beverage sector is incredible, Professor Thomas said. Could Domino’s soon be just as well known for thickshakes and ice creams as it is for pizzas?